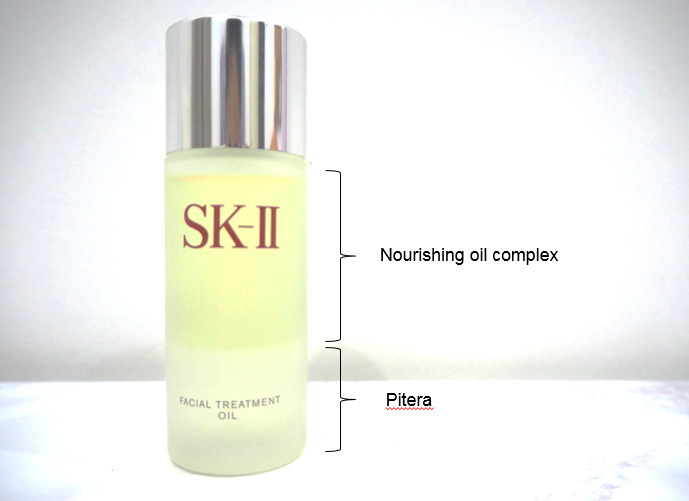 By combining its signature ingredient, Pitera™, and the new Nourishing Oils Complex containing 6 types of oils – including naturally-derived Mediterranean olive oil, Latin American jojoba oil, South African avocado oil, Japanese Riceterol Ester and rice bran oil, and squalane – mixed in a perfect Golden Ratio, the SK-II Facial Treatment Oil targets and nurses dry skin and imperfections caused by air conditioning. Ever wonder what influences the perception of beauty? The answer lies in the Golden Ratio. From the perfect eyebrow and café latte, sunflower and snail shell, to even art and music, the Golden Ratio is present in our daily lives causing things to appear perfectly beautiful and evenly balanced. Used by Ancient Egyptians in their pyramids, and quantified in mathematics by Ancient Greeks, the Golden Ratio is 61.8 : 38.2; where the ratio is the same as the ratio of their sum to the larger of the two quantities. Clinical studies by SK-II indicate the Golden Ratio is the most efficacious blend of PiteraTM and Nourishing Oils Complex in Facial Treatment Oil to deliver intense moisturization and hydrate dry skin. Understanding the need of women for an almost-magical elixir to protect against dry skin caused by environmental stressors, SK-II has perfected the delicate and miraculous balance of nourishing oils and Pitera™ to give all women intense moisturization. Offering immediate, intense moisturization, the SK-II Facial Treatment Oil nourishes and soothes dry skin with a balanced boost of hydration, Natural Moisturizing Factor, and lipids. After cleansing and toning, apply the Facial Treatment Essence and follow by the Facial Treatment Oil. Shake well until the oil and Pitera are emulsified. During the day, I apply 4 droplets onto my palm, spread it and press it against my face. Before bed, I usually use 6-7 drops. If you are interested, please seek for SK-II's professional advice. Their specialist will check your skin condition with the Magic Ring and determine if it is suitable for your skin. On the SK-II press release, it says that the product would help dry skin. In general, facial oils are meant to be use for any kind of skin, depending on the types of oil. Contrary to popular belief, oily skin needs facial oil even more. Blockage of pores by the natural face oil will cause a barrier from other beauty products to penetrate into the skin. Only facial oil is able to absorbed by the skin. Anyone who concern about aging or anti-aging should use it. From my personal experience, it does provide significant result if I use it at night when sleeping in airconditioning room. Usually my face feels dry and tight every morning due to the dry air. After application of the oil my face feels hydrated and remain supple. It is a no-brainer that oil is a good preservation. After three weeks of application, I notice that my fine lines no longer visible. The few drops of application is as efficient as putting on serum or moisturizer. It is definitely more economical in the sense that one bottle lasts longer than other products which gives equal or lower efficacy.